On Controls brings the convenience, luxury and security of smart home technology to the Apple and Android phones and tablets already familiar to millions of consumers. An award-winning Wi-Fi-based platform, On Controls leverages the efficiency of the cloud, enabling integrators to deliver more connected home features and better service to their clients. From a single room to the largest residential or commercial applications, On Controls allows integrators to initialize, upgrade, troubleshoot and add new features to a client’s project via our web portal from anywhere in the world. 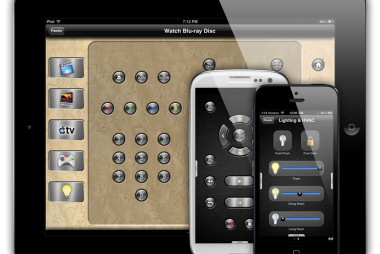 On Controls is a simple, reliable, robust, and reboot free system that will simplify your life!